Aging is inevitable but it is in our hands how to secure ourselves from rapid aging process. These days where people prioritize comfort and prefer everything served on instant, we are unknowingly engaging ourselves into unhealthy lifestyle. Thus we take our diets at risk; the unhealthy habit would eventually take its toll and would cause us harmful consequences. So let’s age gracefully by practicing the healthy diet. Eat foods with antioxidant properties. 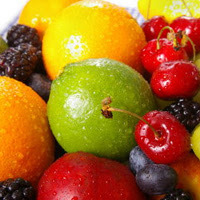 Antioxidants protect our cells from the harmful effects of free radicals by inhibiting the oxidation of other molecules. Free radicals trigger our bodies from having cancer and other diseases. The embodiment of antioxidants are in Vitamins A, C,and E; Lycopene, Lutein, etc. which are good anti-aging agents. This fruit is known for containing high vitamin C that cure illness and lowers bad cholesterol, vitamin C also acts as antioxidants that prevents skin damage and reduces wrinkle formation. Vitamin C promotes collagen which maintains the elasticity of skin as well. This fruit is also rich in Vitamin C, but there are more health friendly properties that can be found in this fruit. It also fights asthma inflammation and suppresses appetite that may help us in eating the wrong food. This fruit is also rich in enzymes that stimulate digestion. This fruit is rich in vitamin C, minerals, potassium, fiber, etc. which is antioxidants fights colon cancer and protect cardiovascular system. It also cures allergies and helps burn fat. This is rich in carotenoid antioxidants such as beta carotene and lycopene. Avocado produces natural oil that induces anti-inflammatory benefits, fights liver damage and lowers high cholesterol. Banana: This fruit known for having potassium is also a great source of vitamin C and fiber which protects the body from heart disease and asthma while it burns fats. The following fruits are just a pushcart away. Go grab some and fight aging without trying hard. But it must be remembered that everything must be taken with moderation.